- GGmod is an IPA Plugin that dynamically switches the character to a high heel state when GGmod shoes are used. - It allows high heels and non-high heels coexist. - IPA is included in the file. 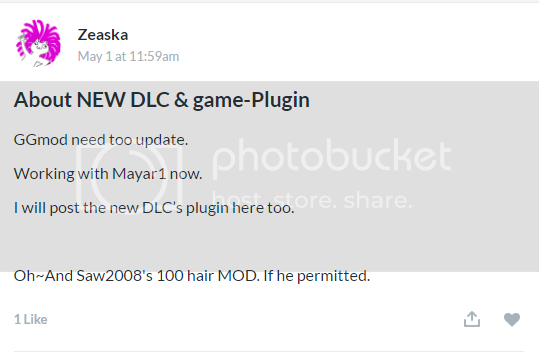 - Fix for external shader bug on MayaR1's shoes. - Compatible for HS main game, VR, old studio, and studio NEO. - 5 pairs of high heels for female, and a pair of not-so-high-heel for male included. 1. Drag and drop all files inside Ggmod1.6.0_NEO (english) to your main game directory. Merge folders when asked. 2. Drag and drop HoneySelect_32.exe /HoneySelect_64.exe onto IPA.exe once to activate IPA in your main game. 3. Drag and drop HoneyStudio_32.exe /HoneyStudio_64.exe onto IPA.exe once to activate IPA in the old studio. 4. Drag and drop StudioNEO_32.exe / StudioNEO_64.exe onto IPA.exe once to activate IPA in the new studio NEO. 7. You can read Ggmod_en.txt for more information. - DO NOT re-post this mod to other sites without author(mayar1)'s consent. - DO NOT decompile the plugin and re-post your edited plugin without author(mayar1)'s consent. Owll99, Dr.Bloodmoney, plasticmind and 19 others like this. This hasn't been working for me/has been super buggy the very rare times it does work (like works even after shoes are taken off) since the version 1.2/Party DLC update. Is there going to be an update to make it v1.2/Party compatible? Also any chance of adding a toggle so it can work without the shoes on as well? I never thought that'd look nice until I ran into that bug. kasumi0507, bypass and quist like this. kasumi0507, Dr.Bloodmoney, bypass and 8 others like this. Thank you mayar1 for your hard work! Hyunkell and Yarryi like this. Hi, everyone. Since i have installed 28/4 DLC, i had problem with GGmod, it worked well in Character maker, but in H-scene GGmod didn't work. Does anyone know how to solve this? Please help me, thank you.